Dr. David Jeremiah discusses the importance of truth. Dr. Jeremiah reminds callers to wear the armor of God as instructed by scripture. Dr. Jeremiah answers a question about how to be more faithful. 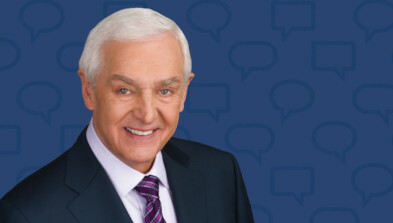 My Faith Votes hosted this Access Live entitled “A Conversation with Dr. David Jeremiah”. The Senior Pastor of Shadow Mountain Community Church and founder and host of “Turning Point” discussed his latest book, “Overcomer: 8 Ways to Live a Life of Unstoppable Strength, Unmovable Faith, and Unbelievable Power” and other issues for Christians today. Specific topics include prayer, navigating the discourse in politics, helping grown children walk with the Lord, and wearing the armor of God.